Our exceptional products are available for wholesale to select grocery stores, restaurants, cafes, boutique retailers, spas, hotels and salons. As part of our wholesale family, you’ll benefit from an incredible depth of expertise and educational workshops for your staff as well as several cross-promotional opportunities. ARE YOU A CAFÉ OR RESTAURANT? Whether your establishment is geared towards fine dining or a casual take-out clientele, we have a wide selection of teas, teapots, to-go tea bags and everything you’ll need, in order to serve gourmet loose leaf tea in style. 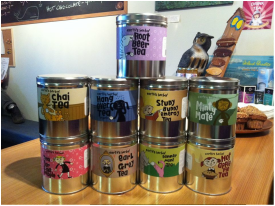 Packaged teas and our bulk tea service program. ARE YOU A SPA OR SALON? We have a wide range of body and skincare products ideal for retail stores, spas and salons of all sizes. Please fill out our wholesale order form for access to our wholesale price list and information package. 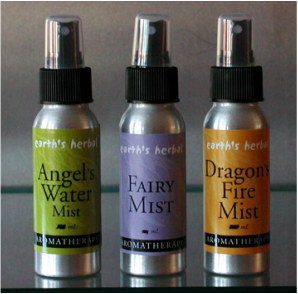 We offer fantastic retail products that are ideal for stores: teas, salves, aromatherapy and more. Please fill out our wholesale form for access to our product price list and information package. Talk to us about designing a product with your own logo and company name representing it. This unique, distinguishing aspect of featuring an item is great for business, corporate gifts, weddings and more. Please fill out the wholesale order form find out more details and prices. We have Public Tea Tastings & Classes listed in our monthly Magazine events calendar as well as the option to book a private tasting with Herbalist Lily Fawn in your shop or in a beautiful and unique location brought to you by EventsWest. Whether you choose to book the tea party experience at one of our fabulous locations, or in host a party in your home or have us come to your company, organization, meeting or event, we are always excited to share the our wonderful, delicious, unique organic teas. Tea tastings are a wonderful inclusion for your event. Party Package: Full service destination and event management, including decor, catering, Liquor license and all other services. Enjoy our exquisite tea martinis, cocktails, as well as classic tea service. Educational Tea Program: We will come to your meeting, or group, as the program speaker. We talk about wildcrafting herbs, also ways to brew the best tasting teas, the best water to use, how long to steep each type of tea, and share stories about tea rituals used by different cultures. Tea treats are also available if requested. Corporate Events: This program works great for a lunch time tea service, or a corporate wellness presentation if requested. We gear the talk to stress reduction and health benefits which increase employee productivity. We charge for the tea, based on the number of people, food service and event management is available upon request.